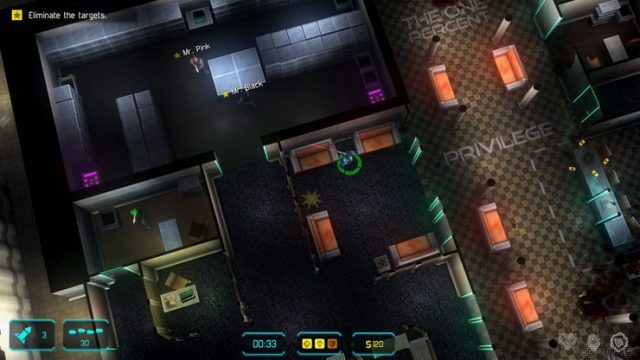 Jydge Review: Buy, Wait, or Skip? 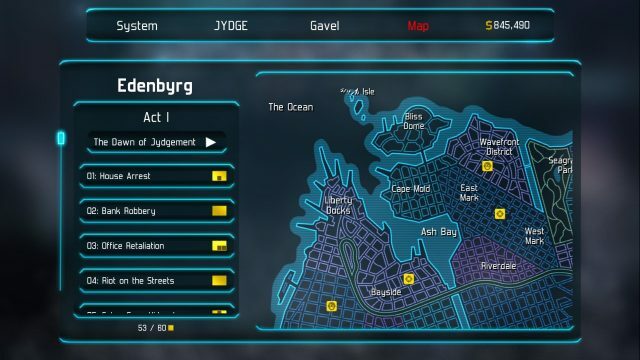 Jydge is from the same developer that brought us Neon Chrome but instead of randomizing the loot and guns you get every time you do a level, instead, you can find new abilities and unlocks as you progress through Edenbyrg city. Honestly, the game feels very inspired by the Hotline Miami series with the objects and bite-sized levels. 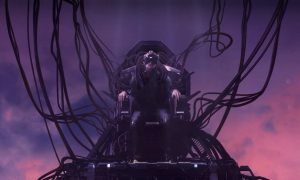 The cyberpunk aesthetic from Neon Chrome is alive and well in Jydge, but despite similar gameplay and embracing the twin-stick shooter mechanics, the two games manage to feel quite different. Whereas each trip in Neon Chrome was randomized and you never knew fully what to expect, the challenges you tackle in Jydge are pre-planned and always the same. What changes is how you deck out your character and the equipment you use in the level to try and net all three gold medals. These medals are increasingly harder to get as you progress in the game, with some requiring absolute precision timing in order to pull them off. You can replay levels at any time to unlock those golden medals, which you’ll need in order to progress through higher levels. To that degree, Jydge progression feels a bit like a mobile game. You can see all the missions on the overhead map that you can unlock as you progress through the game. 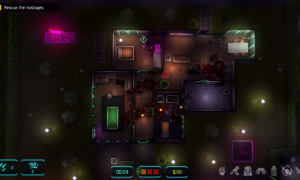 The shooting mechanics felt just like Neon Chrome, though Jydge does contain an option to revert the camera offset that’s at a weird angle for some reason. You can also load up a buddy and allow them to blast through the levels with you as the game supports local co-op. I usually like to include a Bandcamp widget of the music in my reviews because it can be an important factor in whether you’ll love or hate the game. Unfortunately, I couldn’t find Jydge’s music up on Bandcamp anywhere, so you’ll have to take my word for it. The music in Jydge isn’t as good as what developer 10tons featured in Neon Chrome, but it has that same cyberpunk 80s electronica aesthetic that held the Neon Chrome soundtrack together so well. I didn’t end up turning it off at any point while I was playing the game, but I can’t exactly remember any of the tunes, either. At a price of $14.99 I would say the game is worth it if you’re a fan of the twin-stick shooter genre or games like Hotline Miami. There’s definite replayability here because even though the individual levels are short, you’ll have to try multiple times for the golden medallions in order to unlock more levels. The game is also pretty light on story, so don’t expect much there. However, the gameplay loop of trying to beat my best times and discover the quickest way through some of the levels was more than satisfying for me. The portable form factor of the Nintendo Switch lends itself well to Jydge too, so despite it being available on PC, Xbox One, and PS4 we definitely recommend the Switch version.